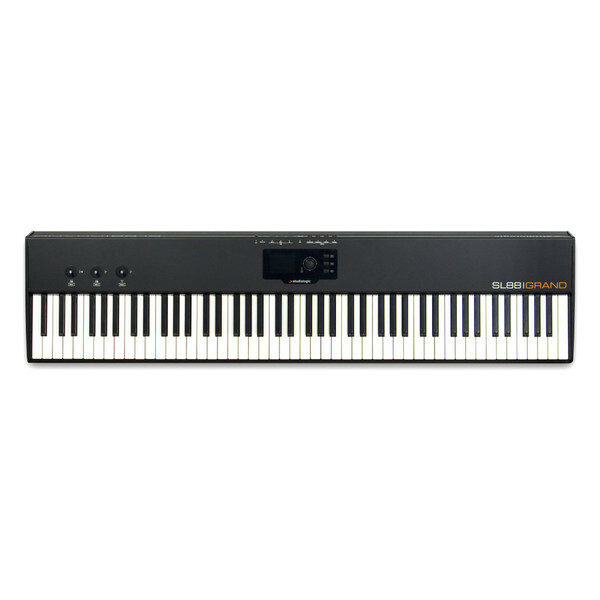 The Studiologic SL Grand Controller Keyboard is perfect for controlling your hardware and virtual instruments, combining more than 30 years of experience in exclusive keybeds with a new, powerful user interface. Featuring 88 graded hammer action wooden keys with Ivory Touch and Aftertouch, the SL Grand authentically produces everything from the slightest pianissimo to the strongest fortissimo, while delivering every nuance of your performance. Featuring a TFT colour display and comprehensive controls, the Studiologic SL Grand offers simple, intuitive and real-time control of a vast range of settings and parameters. The SL Grand utilises the best-graded hammer action keybed with Ivory Touch and wooden keys, helping to produce the natural feel of a well balanced grand piano. Each of keys feature 3 contacts to ensure reliable performance, resulting in every key translating every nuance of your performance in an inspiring and truly authentic way. Located in the center of the controller is a LCD TFT colour display, which when combined with the six-way controller knob provides you with an incredibly user-friendly way to navigate through all the SL Grand's functions. Functions such as switching through the four zones can easily be achieved by moving the controller, and then by clicking and turning the same knob again, you can select and/or adjust the desired parameter. Simple, intuitive and fast; the three push-buttons to the right of the control knob bring you back to the top-level from any location in the system with just one push. The Studiologic SL Grand features three X/Y stick controllers, providing you with not only performance control but also direct control and manipulation of any desired sound parameter. The first X/Y stick is spring-loaded for both X/Y directions, suitable for pitch and modulation control. Stick 2 is also spring-loaded, however only the X direction. Stick 3 is free in both X and Y directions, perfect for panning, cross fading and various parameter control. All three of the sticks feature an elegant, aluminium control shaft which feels perfectly balanced and expressive between your fingertips. 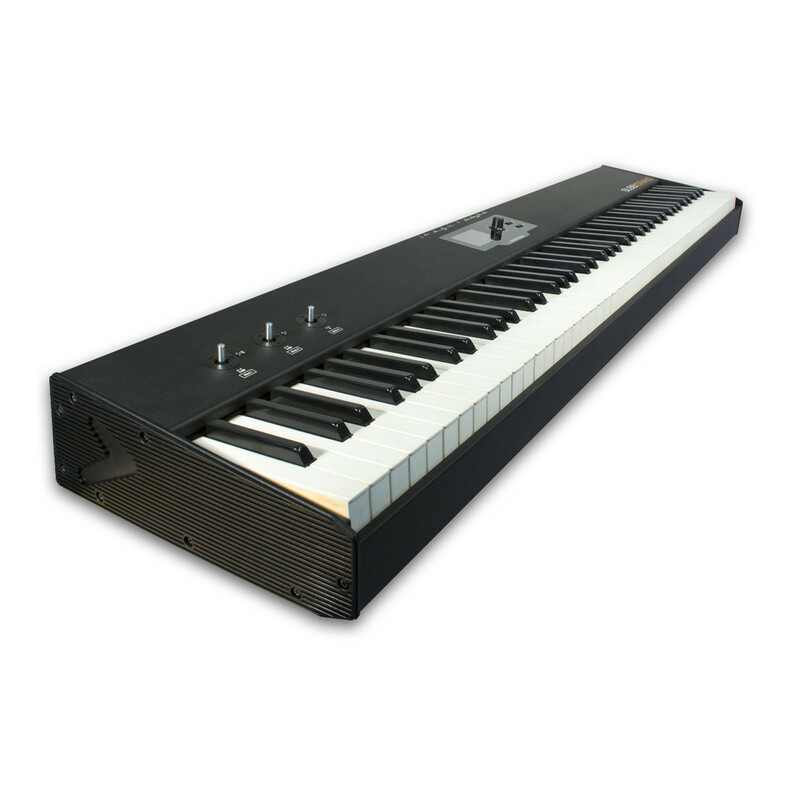 The exclusive Key-balance function offers in-depth modification of the keybed, allowing you to achieve your desired sound. 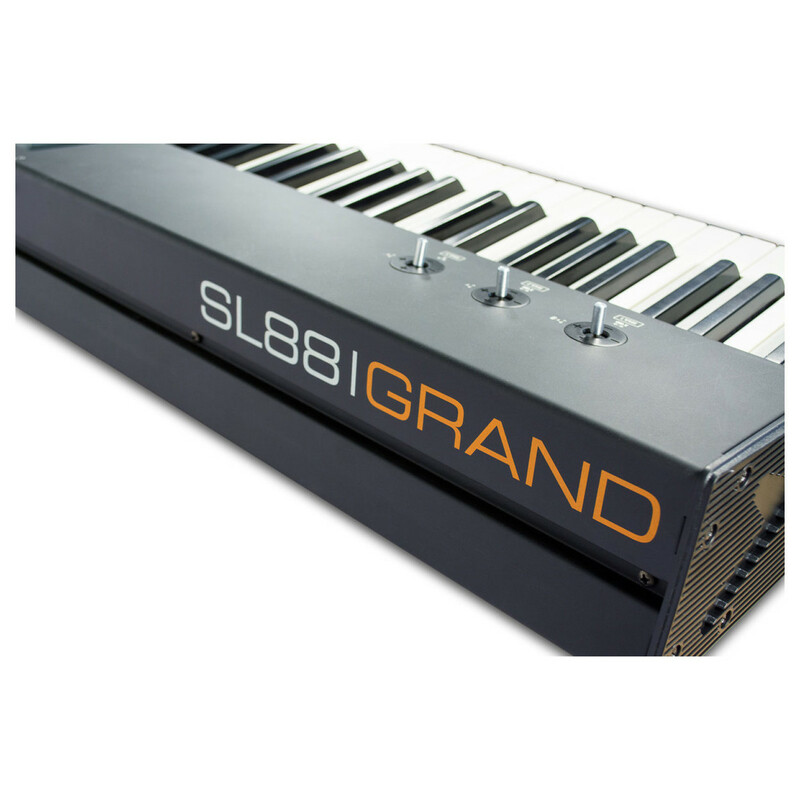 Never before has it been possible to fine-tune the keybed of a controller like this, the SL Grand provides you with the ability to adjust the playing balance between the white and black keys with the simple turn of a knob, or go further and fine-tune each and every key individually.